But, why would a Democrat complain about a media that carries the water for his Party from the rocky shores of Maine to the sunny beaches of California? : Halfway through the article my question is answered. The Hill reports Rep. James Clyburn (D-S.C.), the third-ranking House Democrat, on Wednesday accused the U.S. media of spreading “manufactured controversies” that pose dangers similar to the propaganda spread by the Nazis during the Holocaust. Speaking to “The Morning Briefing” program on Sirius XM’s POTUS channel, Clyburn accused the modern Internet-based media of misrepresenting the statements of people in order to hurt their reputations. “Most of these people are not media people; they are bloggers, and they are bloggers for the extreme right wing,” he said. 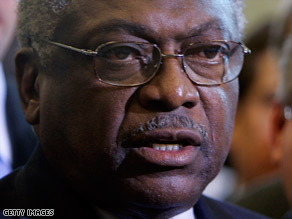 “People tend to act now and ask questions later,” Clyburn added. He also said that President Obama was vulnerable to misrepresentation due to the media abdicating its responsibilities.